The 2001 WNBA Championship was the championship series of the 2001 WNBA season, and the conclusion of the season’s playoffs. 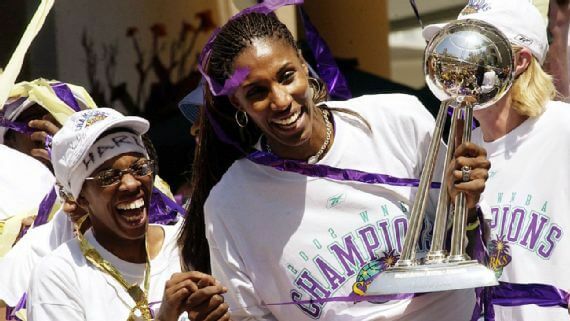 The Los Angeles Sparks, top-seeded champions of the Western Conference, defeated the Charlotte Sting, fourth-seeded champions of the Eastern Conference, two games to none in a best-of-three series. This was Los Angeles’ first title. The Sparks had a 28–4 record (.875), good enough to receive home-court advantage over the Sting (18–14). It did not matter, however, as the Sparks swept the Sting. The 2002 WNBA Finals was the championship series of the 2002 WNBA season, and the conclusion of the season’s playoffs. 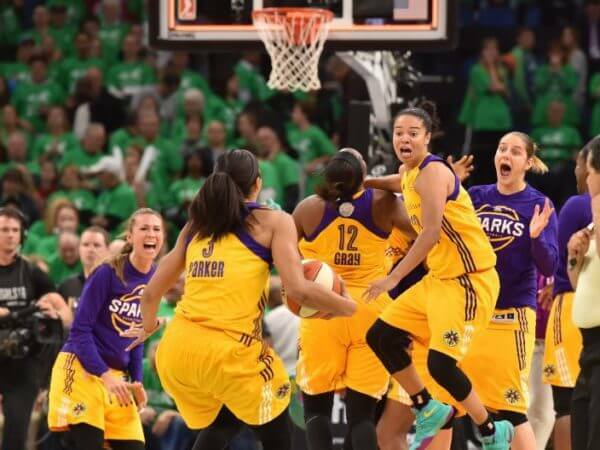 The Los Angeles Sparks, top-seeded champions of the Western Conference, defeated the New York Liberty, top-seeded champions of the Eastern Conference, two games to none in a best-of-three series. This was Los Angeles’ second title. As of 2017, this is the last time a WNBA franchise won back to back championships. The 2016 WNBA Finals was the best-of-five championship series for the 2016 season of the Women’s National Basketball Association (WNBA). The top-seeded Minnesota Lynx held home court advantage in the Finals, but lost three games to two to the second-seeded Los Angeles Sparks. The series followed a 2–2–1 format, and eschewed from the previous tradition of having the Western Conference champion face the Eastern Conference champion. Instead, in the 2016 season, the top eight teams qualified for the playoffs, regardless of conference. Both WNBA Finals teams were from the Western Conference. The Sparks won a semifinal series against the Chicago Sky to determine one of the Finals berths; the first-seeded Lynx defeated the Phoenix Mercury to earn the other. Candace Parker was named the 2016 WNBA Finals MVP. Renee Brown, outgoing Chief of Basketball Operations and Player Relations of the WNBA, issued statements following games 4 and 5 saying the referees had made an error in each game. Nevertheless, the Sparks won the series 3 games to 2. The Los Angeles Sparks are a professional basketball team based in Los Angeles, California, playing in the Western Conference in the Women’s National Basketball Association (WNBA). The team was founded before the league’s inaugural 1997 season began. Like some other WNBA teams, the Sparks have the distinction of not being affiliated with an NBA counterpart, even though the market is shared with the Los Angeles Lakers and the Los Angeles Clippers. 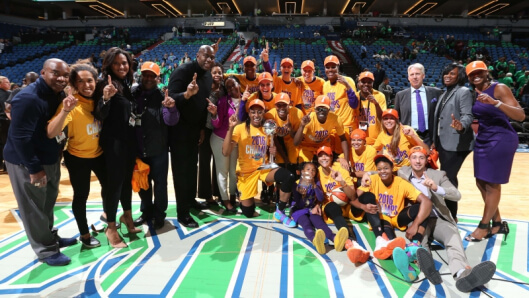 As of 2015, the Sparks are the last franchise to win back-to-back titles. Sparks – The Sparks nickname should related to the their NBA counterpart Lakers, however sparks of fire seem like the opposite of lakes. Who is the greatest Los Angeles Sparks? The Los Angeles Sparks are a professional basketball team based in Los Angeles, California, playing in the Western Conference in the Women's National Basketball Association (WNBA).